Xiaomi – A brand popularly know as ” Apple of China” which entered the Indian market on July 15 2014 with an exclusive sales tie-up with Flipkart for smartphone Mi 3, became the largest selling smartphone brand in India, in 2018, with a 27.3 percent market share, shipping 11.7 million units for the third quarter of this year. In almost four years, the company has become the number one brand in the overall Indian smartphone market, leaving behind players like Apple and Samsung. All this success was not a just a smooth sailing for the brand, the brand had its own share of bumps in its journey. Let’s check out the Marketing Strategy of Xiaomi that helped the brand crack the Indian market and become the largest selling smartphone brand. Asian customers are price sensitive and they love value for money products, that one mantra that Xiaomi learned quite early in its journey. All these years, Chinese products were seen as cheap quality products until Xiaomi entered the market and changed the game. Xiaomi launched smartphones packed with premium specs at a price which were half the price of its competitors like Apple and Samsung. This way Xiaomi actually lowered the price of the “Premium” – gave customers a clear substitute which was of premium quality, had superior specs and was way cheaper than the latest Apple and Samsung smartphones. 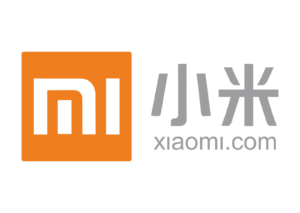 Are a few factors that Xiaomi take into account while entering a market. Xiaomi signed an exclusive partnership with India’s biggest e-commerce player “Flipkart”. Selling phones online helped the company reach out to wider audience base and also keep the cost in control which is what they were famous for. Xiaomi used to hunger marketing strategy and ran flash sales for new model launches, with the sales typically ending within seconds of opening. For instance, in a flash sale for the Redmi 1S model in September 2014, around 40,000 pieces were sold out in just 4.2 seconds. Ever heard of a concept called ” Hunger Marketing ” – The company entered the market in partnership with Flipkart, India’s leading online retailer, using hunger marketing tactics to market its value-for-money smartphones. Customers needed to register for the sale and Xiaomi only made available a limited stock of devices that were sold out in a few seconds. This tactic not only created a sense of scarcity but also made customers curious about the product which added in on the urge to buy the phone in the next sale. Even though Xiaomi managed to create a big dent in the Indian smartphone market by giving giants like Apple and Samsung a run for their money, it was its sloppy-after-sales service that was hurting the customer experience and brand reputation. To counter this problem, Xiaomi shifted its focus to improve the after sales service being provided to the customers. Recently, Xiaomi opened its 500th service center in India to help customers with all their problems. With only 1/3rd of smartphone sales in the country happening online, Xiaomi needed to crack the offline market for a sustainable market share. Opening offline stores were one of the major decisions in the marketing strategy of Xiaomi. Xiaomi used three-pronged strategy for building its offline business which involved large format retailers (where Xiaomi puts up a pop-up store at big electronics retailers), Mi Preferred Partner stores, and its own Mi Home stores. Mi Preferred Partner stores are key multi-brand retail stores which carry differentiated Xiaomi branding and get stock from Xiaomi on priority. While these stores continue to sell devices from other brands, as usual, they get additional business by being an outpost for Xiaomi. Keeping India as its prime market, the company aim to capture the largest market share in the country in the next three to five years. With a marketing strategy as well defined as it is now, we surely see Xiaomi give a very hard time to Apple and Samsung in the coming future.